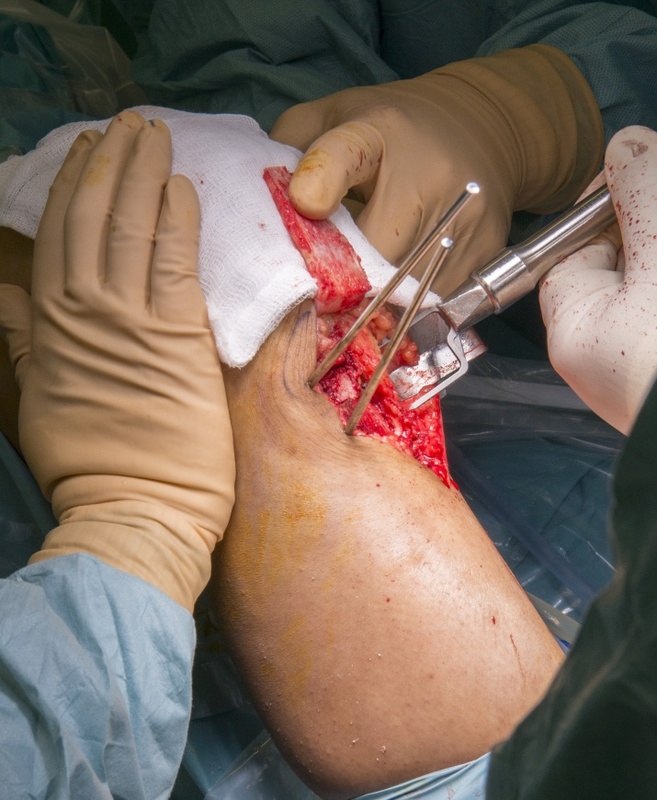 Learn the Rotational proximal tibial Osteotomy surgical technique with step by step instructions on OrthOracle. Our e-learning platform contains high resolution images and a certified CME of the Rotational proximal tibial Osteotomy surgical procedure. Anterior knee pain and patella instability is a common orthopaedic problem. It is estimated that the overall incidence of primary patella dislocation in the population is approximately 5.8 per 100,000, with a 5-fold increase in incidence between the ages of 10 to 17 years. Furthermore, the likelihood of recurrent instability after a primary dislocation is significantly higher (OR= 6.6, P<0.001) in individuals with preceding patella-femoral joint (PFJ) symptoms7. Young active individuals are particularly prone to develop sequelae that impair function with some studies reporting that up to 55% of patients fail to return to sports activity after this injury2,4. It is therefore paramount that once the diagnosis of PFJ dysfunction is made the precise cause is established in order to deliver optimal treatment. PFJ pain and instability is a multifactorial problem. In addition to the soft tissue constraints around the knee, the osseous architecture together with overall rotational limb alignment (femoral version (FV), tibial torsion (TT) and knee joint rotation angle (KJRA)) contributes to the normal workings of the joint. Institution :The Royal Orthopaedic Hospital ,Birmingham ,Uk.